Filling hummus and baked sweet potato salad. Recipe for two, ready in about 25 minutes. 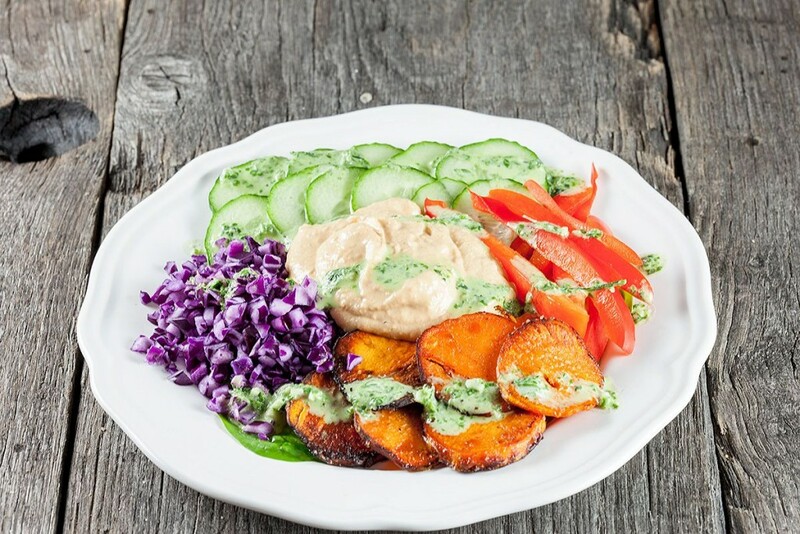 Served with a delicious tahini dressing!